TradeMaid Systems futures trading real time results. 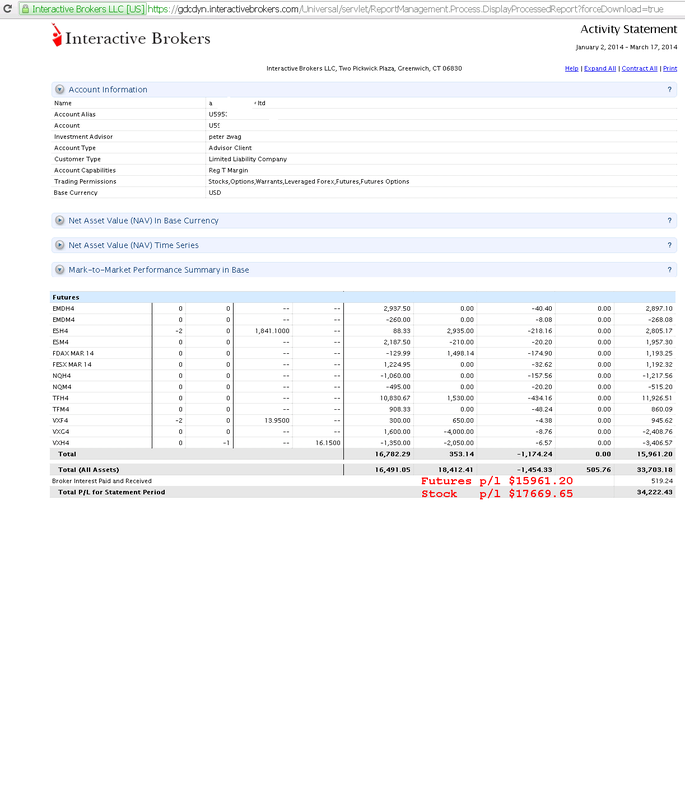 T15ES_1-LT BROKER STATEMENTS FOR 2013-09-25 UNTIL MARCH 21 2015. 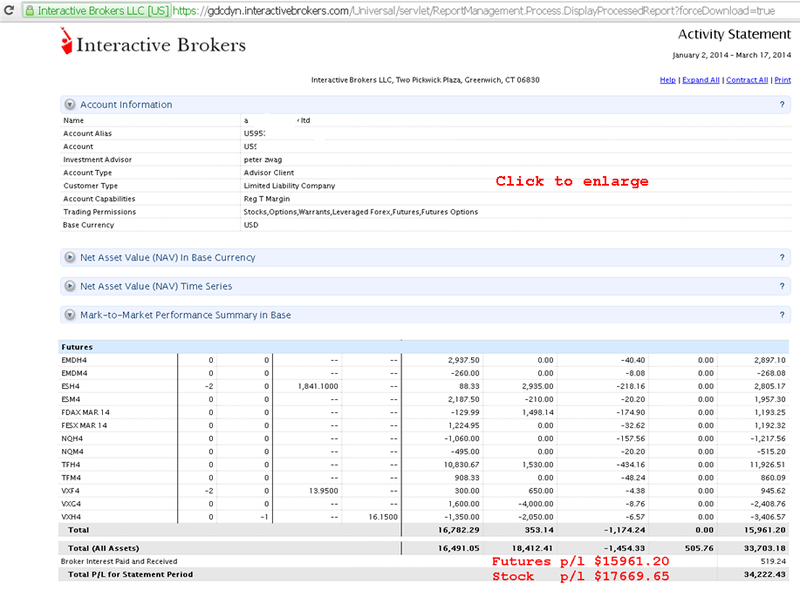 Return BEFORE systems costs for 2 years was $20,997.83 trading one S&P 500 contract only. 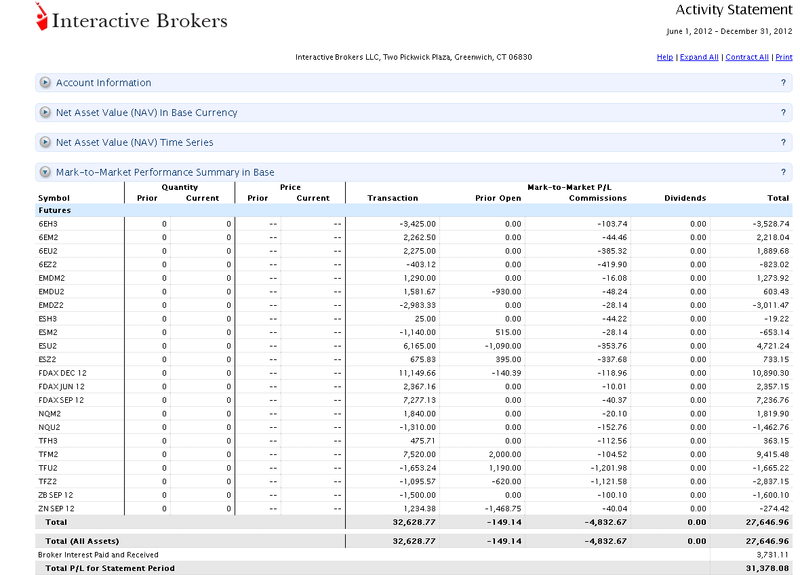 T15ES_1-LT BROKER STATEMENTS FOR 2013-09-25 UNTIL MARCH 21 2014. 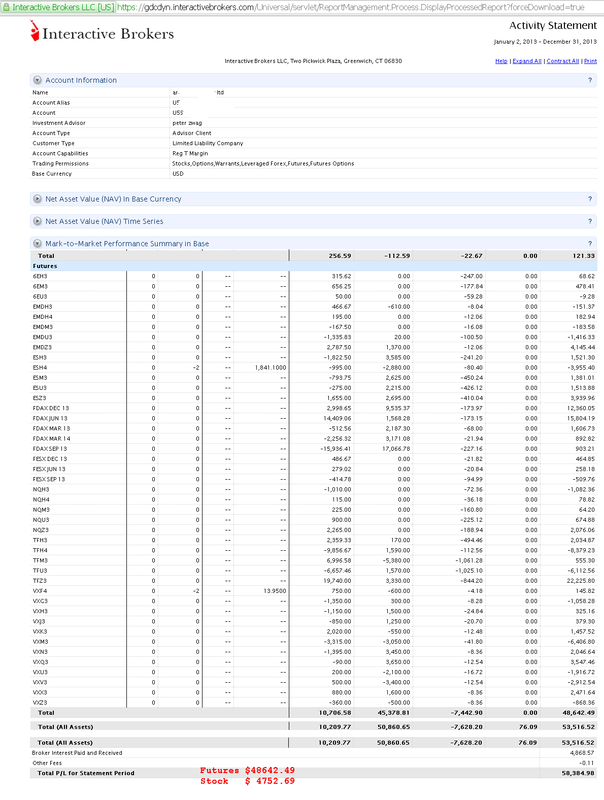 An important question to ask is, what are the real time profits trading Trademaid systems? This is a little problematic to answer in that the amount of capital assigned per system varies according to your risk factor, the account can be notational funded and or used to trade stocks, options etc I also don't pay system fees. 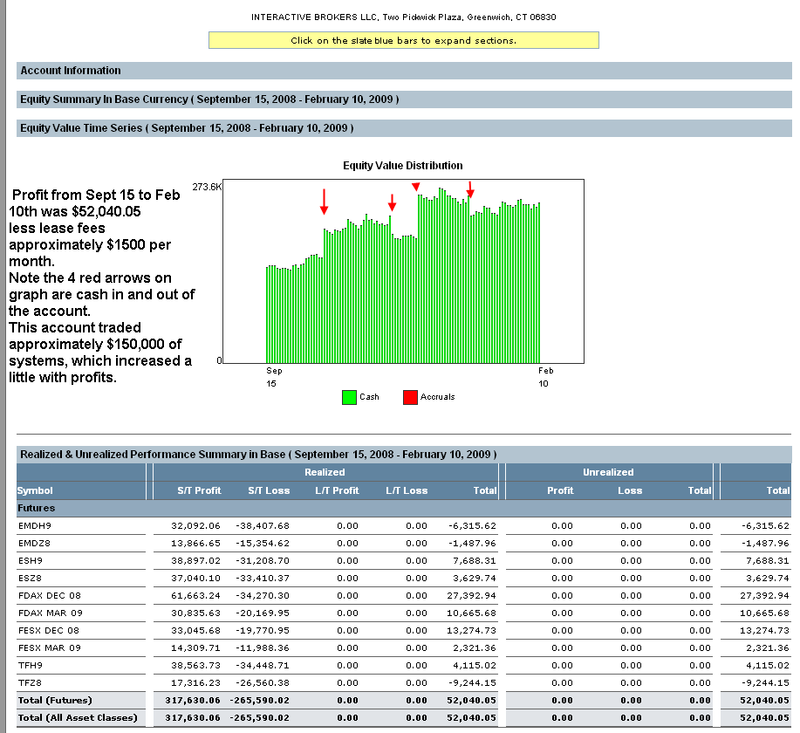 There also is a open short contract on S&P 500 which has reduced profits on futures by about $4600 as my stocks portfolio is about 70% hedged. The actual combination of systems may vary per clients preferences. 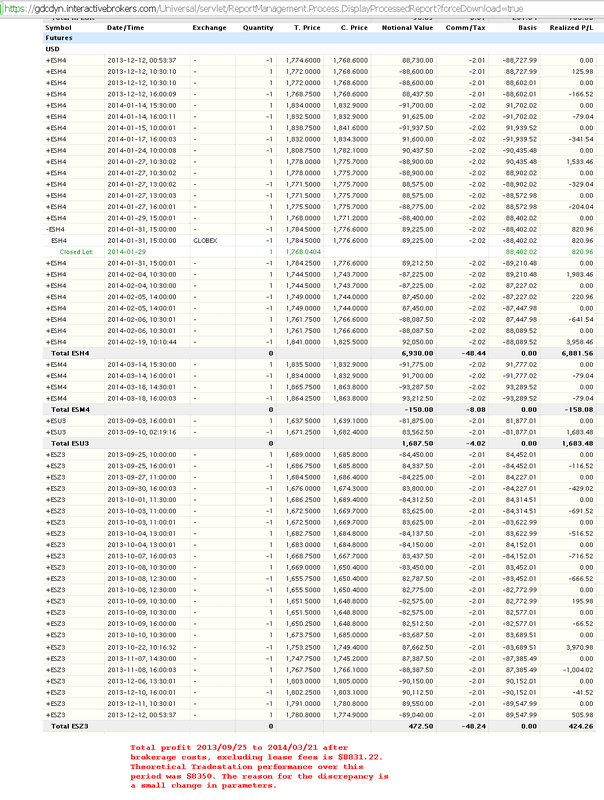 The main point my brokerage statements show is that I am a legit profitable trader. 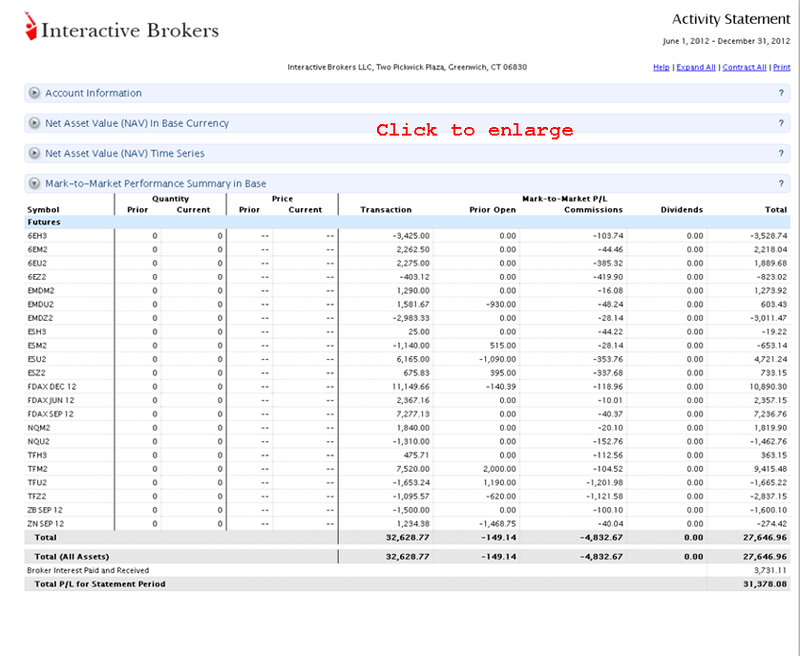 BROKER STATEMENTS FOR 2014 UNTIL MARCH 17 2014. BROKER STATEMENTS FOR T7 er. 100k+ combination, Breakout ER, Turbo Pro, Bounce MDRL. 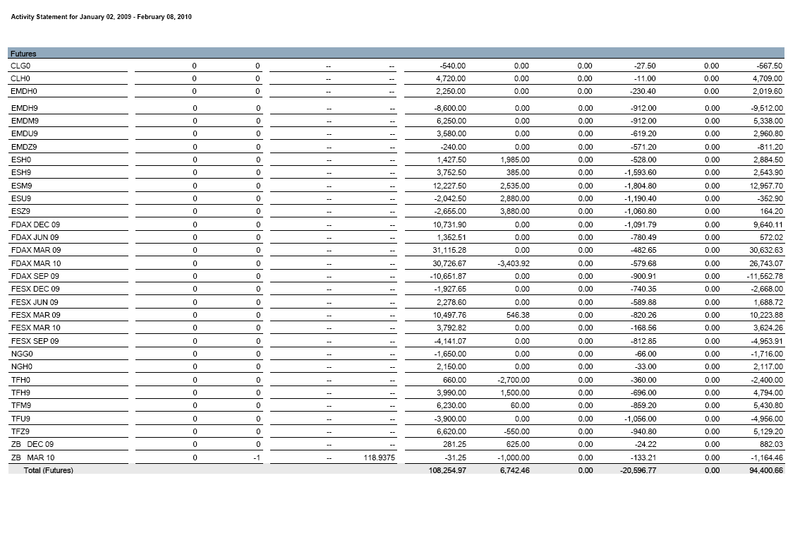 Results include $4.73 commissions r/t, and exclude system costs Results Pre 3/23/3006 are for Turbo Trader. 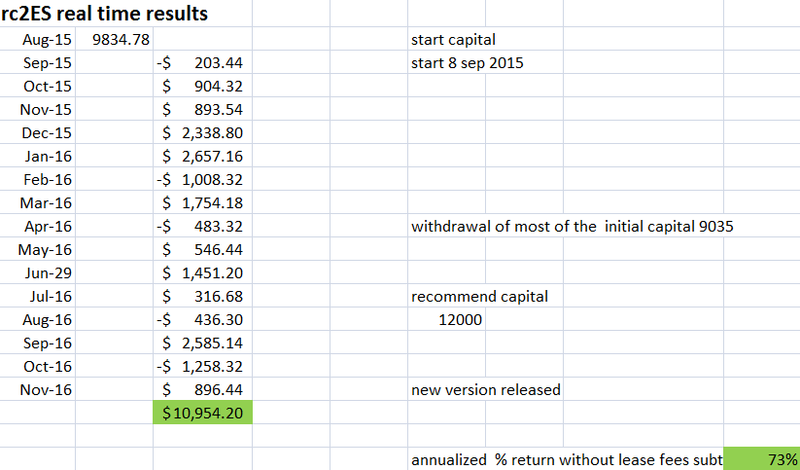 Results after this are for Turbo Trader Pro. Results to be considered hypothetical. Past performance doesn't guarantee future performance. My fills may be significantly better than your fills. Trading involves considerable risk and is not for everyone. My fills will be significantly better than your fills.